: A divorce mediator is considered a neutral and doesn’t work for either party, but rather helps guides couples to make decisions and keep communication open. That means the mediator does not give advice to either party, but rather remains neutral. What the mediator does rather, is assist the divorcing couple in finding ideas that usually leads to agreements. That open communication of information frees both spouses to negotiate with each other in confidence. Divorce mediation is usually the preferred route that couples take because it is the most beneficial, especially because it is more timely than court, cost effective and helps people develop successful parenting partnerships. How is mediation beneficial over litigation? Mediation is beneficial in many ways. It allows couples to discuss important issues in a safe and constructive environment, and enables couples to move through tough discussions and make decisions. Many couples that decide to take their case to court report that they felt unsatisfied with the results because they were not decided upon by them, but rather the judge and attorneys will make your personal decisions for you. Furthermore, mediation is a quick process compared to court. Although each couple is different and some decisions and processes take longer than others, on average mediation takes about 1/4th the time court takes and is far less expensive. All mediators are different, and although they do not make any decisions they do impact the process of your divorce and therefore you want to work with someone with years of experience and that is able to be a mutual help to the couple. Oftentimes, divorces are difficult and it takes time to get through discussions, that is why having a mediator that you like, trust and can work with you positively is necessary. At Johnson Mediation in Chanhassen, Minnesota, we have a practice that helps with many different components of the process. 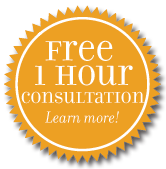 When you are looking for a trusted divorce mediator in Minnesota, look no further than Jeff Johnson and his team to discuss our comprehensive divorce mediation services. As you can see, we offer a wide array of support services to divorcing couples. We have amazing reviews and are here to make sure that the process is as smooth as possible, and we help you achieve a divorce that is both cost effective and amicable for all parties involved.